This guide will show you the best place where I found the most [Volatile Water]. One thing I noticed while farming Volatiles Water is that sometimes you farm for 15 minutes and you don't get a single Volatile, this is just bad luck, don't get discouraged. You can get Volatile Water by killing Muddied Water Elementals in Twilight Highlands. I couldn't test this, but I have seen reports that If you have the Muddied Waters quest active in your quest log, they won't drop any Volatile Water, so make sure to turn in the quest. 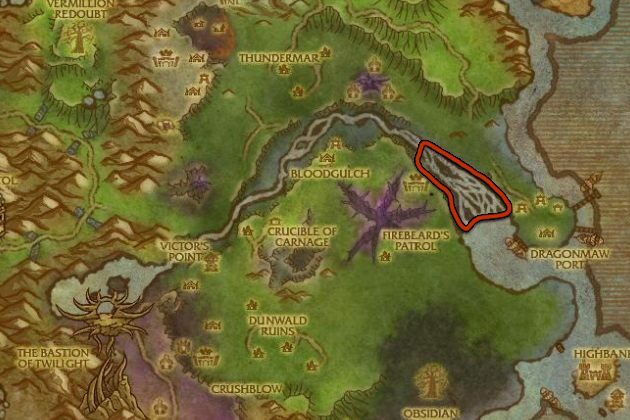 If you have fishing, you can also get Volatile Water by fishing in pools in any nodes in any Cataclysm area. They are also fishable in open waters in Cataclysm zones.